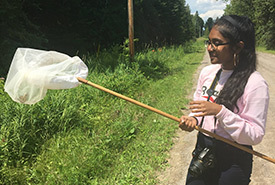 During the last few days of my internship at the Nature Conservancy of Canada (NCC), I began to reflect on the past two and a half months serving as the national communications intern. Looking back, there are many things I accomplished during my internship that I had no idea I would be capable of. 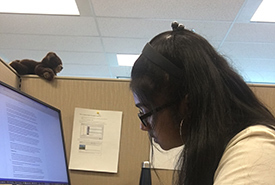 As a communications student, I have recognized the importance of gaining real-life work experience and applying the classroom knowledge to a workplace. In early April, my mind was set on starting this important and crucial part of my career. I happened to stumble upon NCC’s job posting for a communications intern, and I found myself eagerly reading the job description and applying right away. Working for NCC has taught me more than I could have imagined. The role put a lot of my theoretical knowledge into perspective. Since this was my first real job experience, I did not have many expectations going in, besides knowing that my internship was going to be a learning experience in the communications field. What I didn’t know was that this position was also going to be a learning experience about myself. Without a doubt, I experienced a learning curve this summer, but this didn’t stop me from getting my work done. Instead, I treated this as an opportunity to challenge myself to work harder and ask questions. I welcomed the uncertainty with open arms. Right from the start, I was kept on my toes, never experiencing a dull day. I got my feet wet with just about everything communications related. From creating blog content to media monitoring, there was always something to be done. And if not, I would find something to do. This was one of the more challenging aspects with this position, because it required me to think of creative ways to make a meaningful contribution to NCC. I would even argue that this helped bring me out of my shell, for which I am grateful. Guidance from my supervisors and fellow communications colleagues was readily available, and I was welcomed with open arms. If I attended a meeting and I heard about something interesting that I would like to get involved in, all I had to do was put my hand up. I’ve always had an affinity for writing, and this position really put my skills to the test. Receiving constant feedback enabled me to become a better critical thinker and made me question the work I produce, asking myself what I could change to improve my work before sending it off to be edited. For me, this was a very enriching experience that really proved invaluable in the development of my personal craft. Additionally, I had the unique opportunity to attend an editing webinar, which broadened my horizons in writing and editing. Beyond the cubicle, I attended a Conservation Volunteers event that was refreshing and unlike anything I have ever experienced. I say this as someone who loves nature, but who is a born-and-raised city girl. 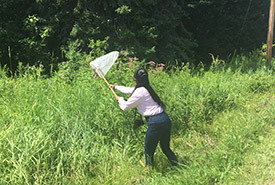 I was lucky enough to participate in a butterfly count at Carden Alvar, where my group caught and identified butterflies. Yearly butterfly counts help guide future stewardship efforts here. Communications aside, I really learned a lot about conservation for nature during my time at NCC, and I can truly say that NCC has not seen the last of me. The ongoing work that NCC does, and seeing the astounding positive impacts it has, really cemented my passion for environmental action. More than this, however, I leave this internship knowing that there is more work to be done. Whether in hands-on stewardship or behind the screen at my desk writing content for conservation, both play an active role in directing the conversation around conservation. I can now look back and say my time at NCC has been invaluable, with the best part of it being working with so many people and being a welcomed member of the team. I had the incredible opportunity to write social media copy for my blogs, interview interns, learn new software…just to name a few. I couldn’t be more thankful for this enriching experience and being given a chance to help make the world a better place, one blog post at a time. 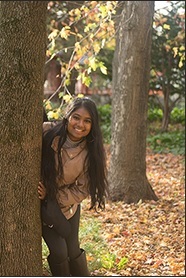 Veshani Sewlall was the communications intern for the national team at the Nature Conservancy of Canada (NCC). Read more about Veshani Sewlall.